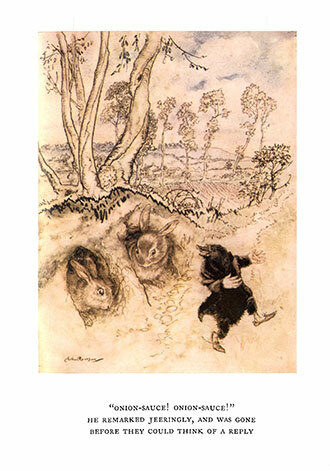 The Wind in the Willows is a true classic of Children’s literature. 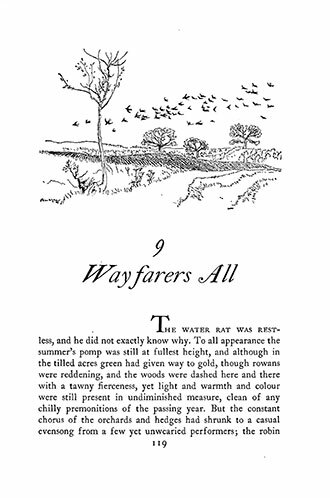 It was penned by Kenneth Grahame (1859 – 1932) and first published in 1908. 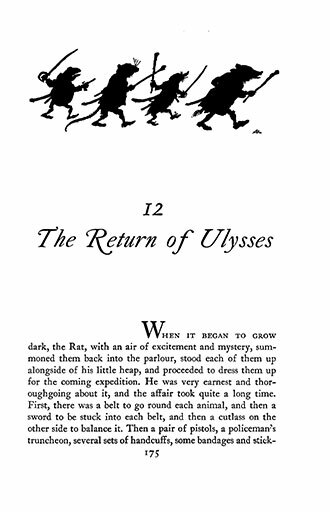 Alternately slow moving and fast paced, it focuses on four anthropomorphised animal characters in a traditional bucolic version of the English Thames valley. 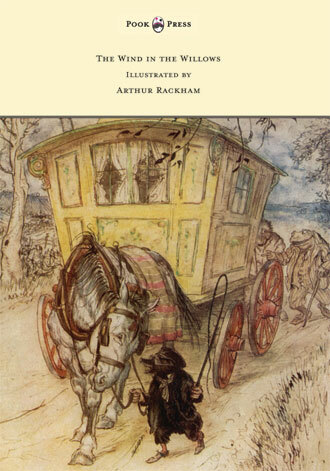 ‘The Wind in the Willows’ is a novel notable for its adventure, mysticism, morality and unceasing camaraderie; loved and appreciated more than a century after its initial publication. 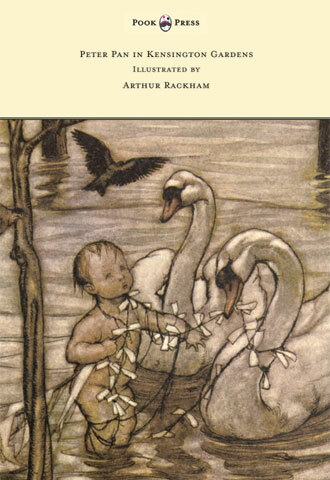 It is also accompanied by a series of dazzling colour illustrations by Arthur Rackham (1867-1939). 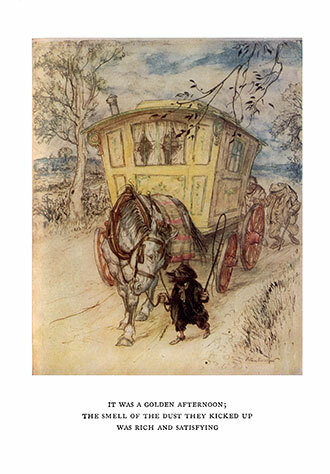 One of the most celebrated painters of the British Golden Age of Illustration (which encompassed the years from 1850 until the start of the First World War), Rackham’s artistry is quite simply, unparalleled. 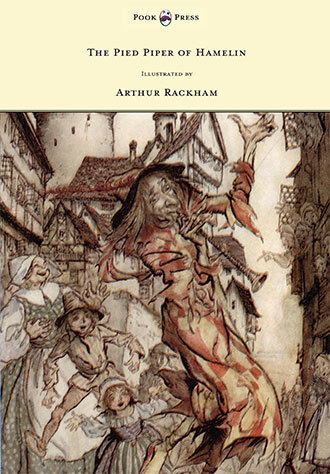 Throughout his career, he developed a unique stule, combining haunting humour with dream-like romance. 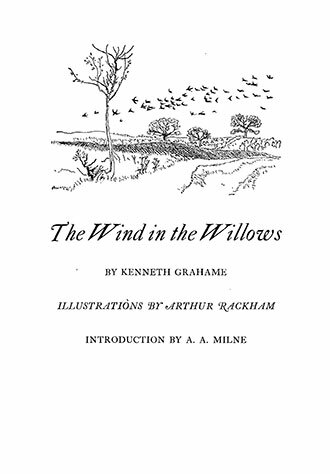 Presented alongside the text of ‘Wind in the Willows’, his illustrations further refine and elucidate Grahame’s masterful storytelling. 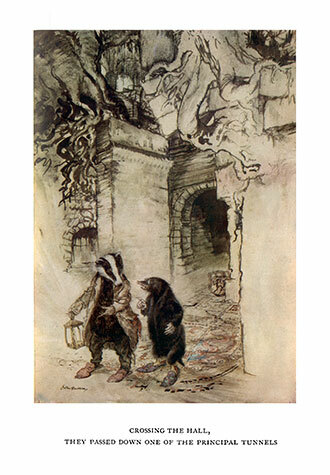 With works such as The Wind in the Willows, Pook Press celebrates the great ‘Golden Age of Illustration‘ in children’s literature – a period of unparalleled excellence in book illustration from the 1880s to the 1930s.